Product prices and availability are accurate as of 2019-04-13 09:48:01 EDT and are subject to change. Any price and availability information displayed on http://www.amazon.com/ at the time of purchase will apply to the purchase of this product. 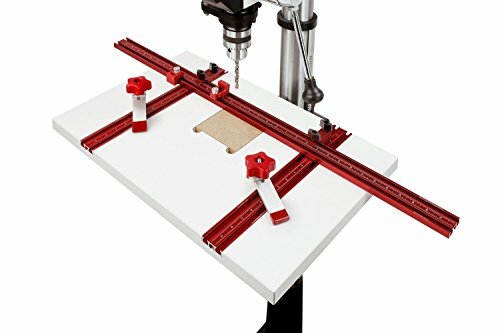 Woodpeckers Drill Press Table features a generous 16-inch by 23-inch by 1-inch surface constructed of a MDF core covered with Formica Micro-Dot laminate - a unique texture which is a grid of small dimples that collect saw dust, allowing the surface to better grip the work piece under pressure. 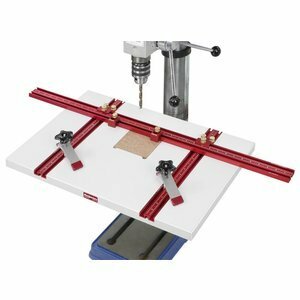 Removable insert minimizes tear-out when drilling through material without the need of a backer board and the insert can easily be replaced with any 1/2-inch thick material. 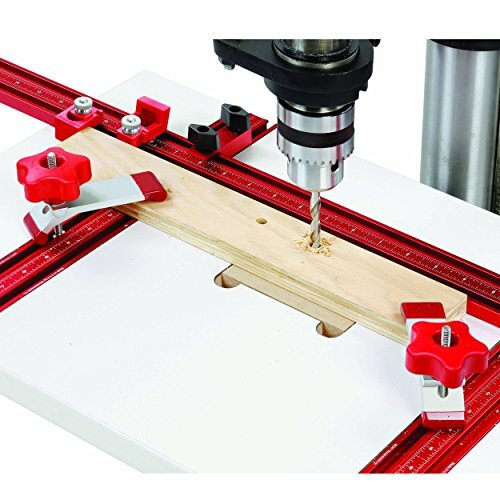 Two double-wide T-tracks are embedded and bolted in place from underneath to virtually eliminate the possibility of pulling the track out when using optional deluxe hold down clamps (not included). Each T-track is permanently laser engraved with an easy to read, high contrast scale clearly indicating fence position. 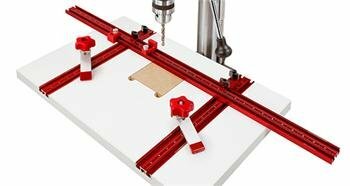 Once calibrated to your drill press, no further adjustment is needed. 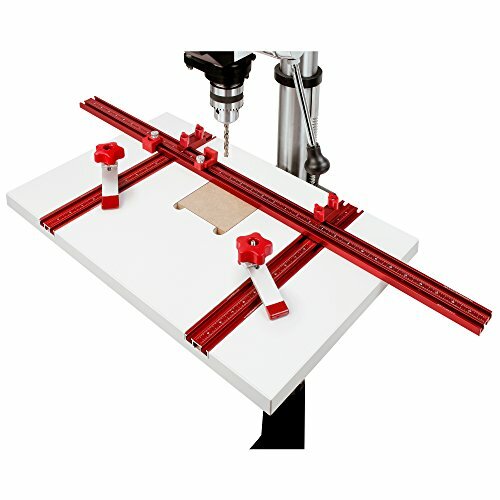 This package includes the Drill Press Table, standard 36-inch fence, 2 Flip Stops, 2 Hold Down Clamps and 1 Filler.